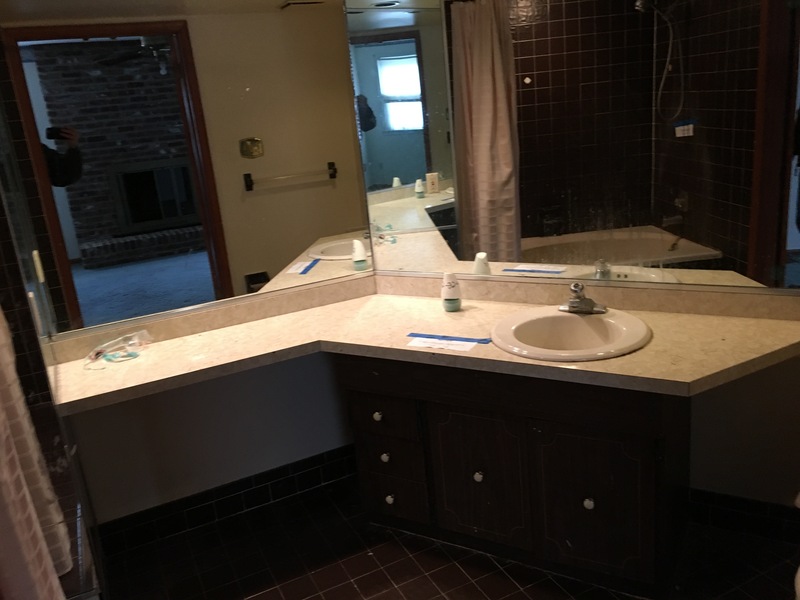 Although tough to tell from the pictures this master bathroom was large with a strange configuration. 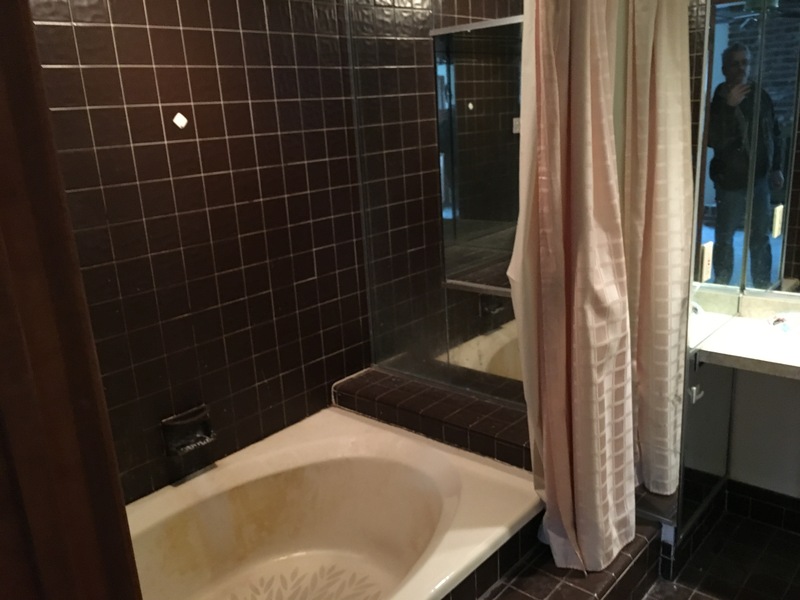 When you walked in on the left there was a large sunken tub surrrounded by dark brown tile and a shelf with mirror, which was a total waste of space. There was only one sink and a strange diagonally cut floating shelf to boot. 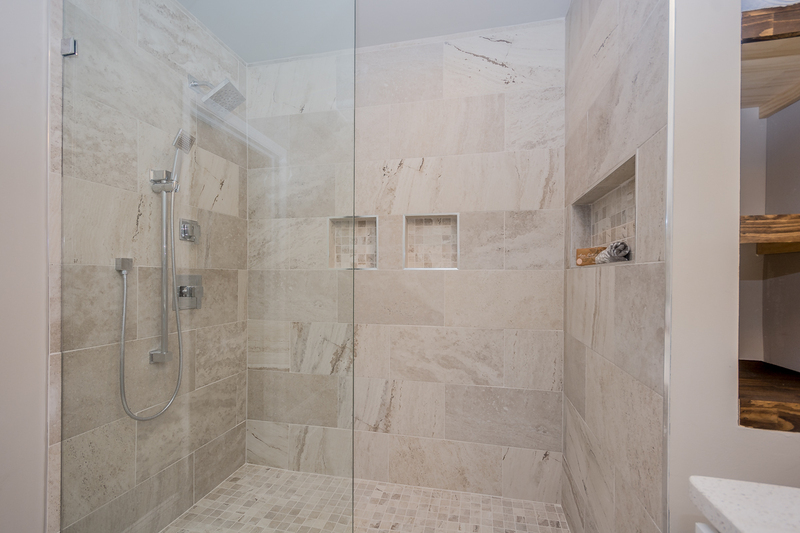 The first thing we did was raise the ceiling in the room almost a foot, blew out the whole bath area to create an oversized walk-in shower with not 1,2 but 3 niches! 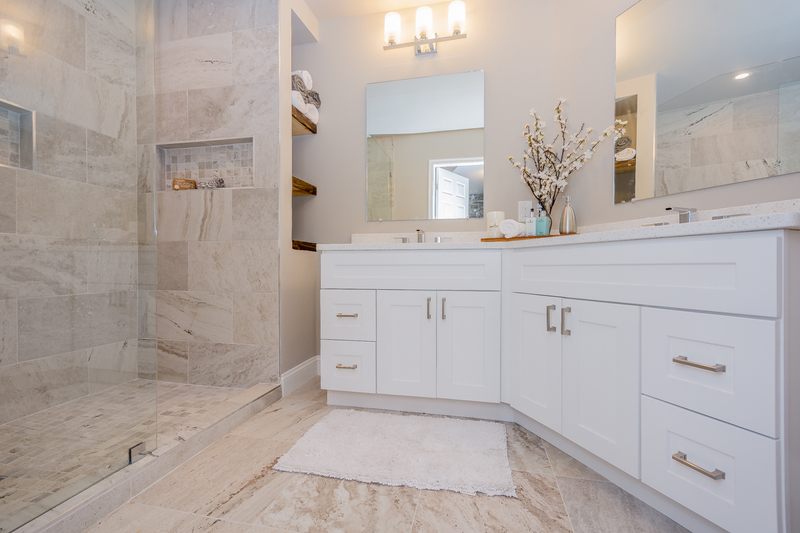 Custom tile work and we took that weird mirror wall and made storage utilizing floating shelves. 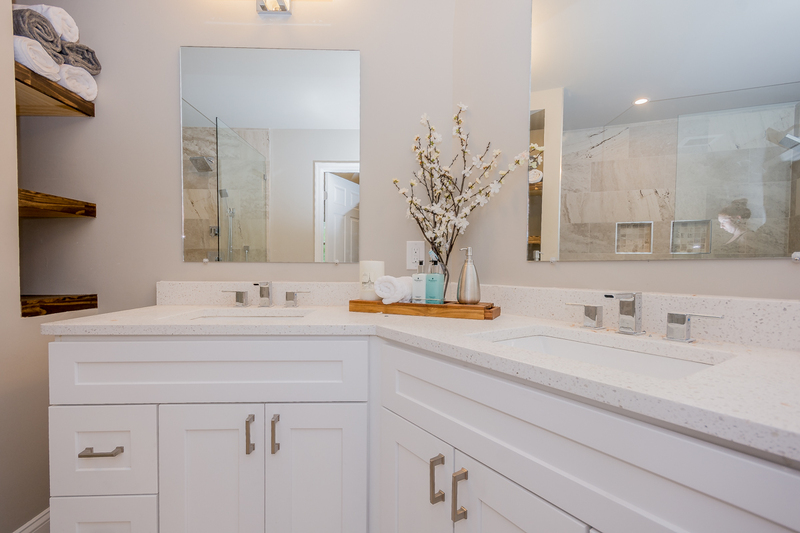 We reconfigured the plumbing to accommodate dual vanities which is great for a couple but also adds more drawer space. This was topped with a beautiful quartz and chrome fixtures. Not many before pictures but the after pictures speak for themselves. 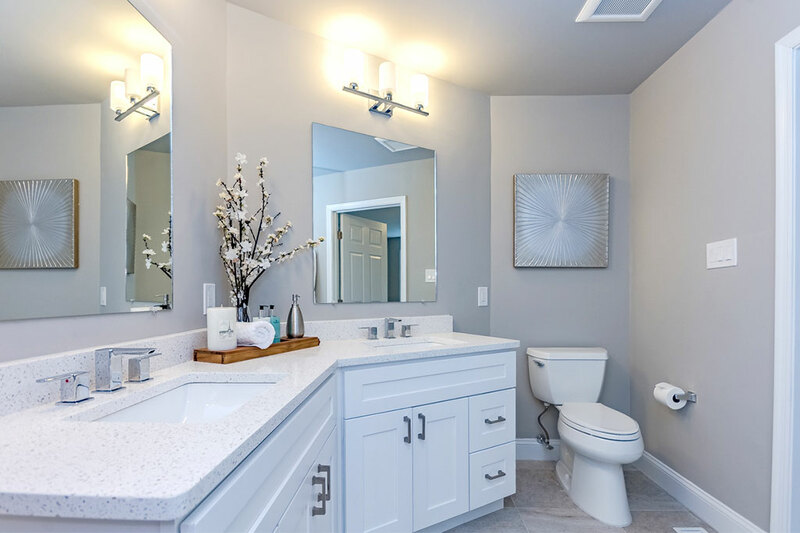 If you have any questions about remodeling any of your bathrooms in the South Jersey area please reach out to Konversion Construction by calling 856.296.5499 or simply filling out the form to the right.